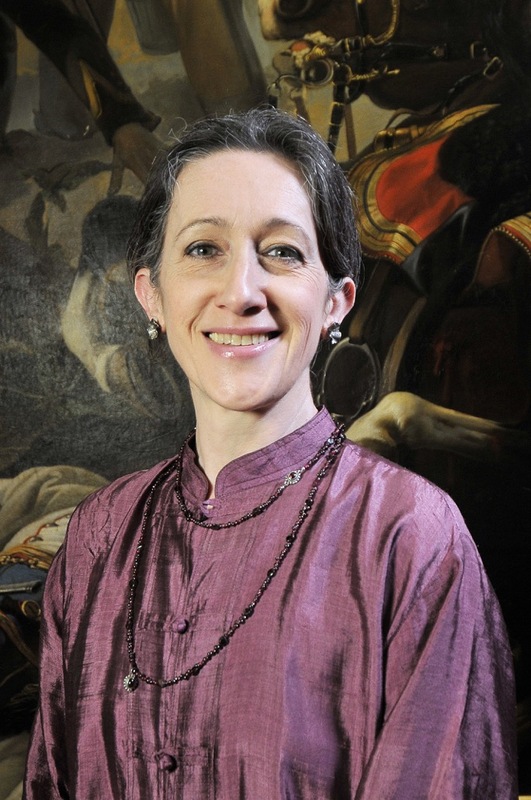 Deda Cristina Colonna a director and choreographer and her repertoire of choice is seventeenth- and eighteenth century-opera. Her style is deeply influenced by her stage experience as a dancer and actress, with specific expertise for baroque dance, rhetorical gesture and period acting. Based on historically informed stage practice, her work reaches out to today's audiences through the use of a modern stage style, influenced also by drama and other forms of contemporary theater. Deda Cristina Colonna graduated in classical ballet at Civico Istituto Musicale Brera (Novara) and at Ecole Supérieure d’Etudes Chorégraphiques (Paris). She graduated from the Sorbonne, specialising in Renaissance and Baroque Dance. Later she graduated from the acting school of Teatro Stabile di Genova and acted in productions ranging from Shakespeare to Chekhov and Genet in Italy, France and Germany. She has worked with the company Theater der Klänge (Düsseldorf) and was a soloist and guest choreographer with the New York Baroque Dance Company. She staged and choreographed over 35 works, among which, recently: Ottone in Villa by A. Vivaldi (Copenhagen Opera Festival: nomination for the Reumert Award for best opera 2014), Il Giasone by A. Cavalli and Il Matrimonio Segreto by D. Cimarosa (Drottningholm Palace Theatre), L'Incoronazione di Poppea by C. Monteverdi and Gesualdo-Shadows by the contemporary composer Bo Holten (Copenhagen Royal Opera/Takkelloftet), the choreography Fortuna Desperata with Francesco Vezzoli and David Hallberg (opening of Performa, New York 2015), Didone Abbandonata by L. Vinci (Opera di Firenze / Maggio Musicale Fiorentino), Armide by J.B. Lully (Innsbruck Festival of Early Music / Music Festival Potsdam Sanssouci, Roku Olsnienia award: for best choreography 2017 and International Award Giuseppe Di Stefano 2018), La Fiera di Venezia by A. Salieri (SWR Schwetzinger Festspiele), L'Europa by G. Melani (Musikfestspiele Potsdam Sanssouci), Il Giustino by A. Vivaldi (Naestved Early Music Festival), Il Ritorno di Ulisse in Patria by C. Monteverdi (Teatro Olimpico di Vicenza). She created and performed original works, among which Voluptas Dolendi - I Gesti del Caravaggio, Sidereus Nuncius - Galileo e la luna and Alltid Densamme with harpist Mara Galassi. She has been teaching baroque dance, gesture and acting for over 25 years and has taught courses and master classes in various Institutions in Italy and abroad. In 2014 she was Guest Visiting Professor at University of Stockholm/Performing Premodernity. She was Director of the Dance School of Civico Istituto Brera in Novara, Italy from 2008 to 2013. Her research papers in Baroque Dance were published in the acts of various international conventions and in specialised books. She works in Italian, English, French, German and Spanish.